Even if you’re someone who’s always been only “meh” about the “Star Wars” empire, the imminent release of “Star Wars: The Force Awakens” is nonetheless cause for nonstop rejoicing. 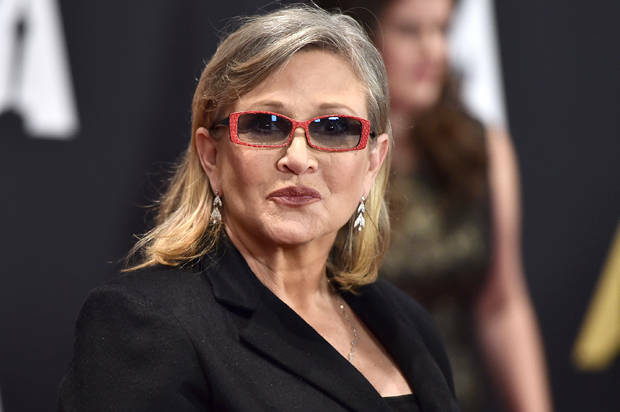 Because where’s there’s “Star Wars,” there’s Carrie Fisher. Fisher, currently competing with the New York Daily News for the title “Legendary American Institution with the Fewest F__ks to Give,” has been making the media circuit to promote the forthcoming installment of the saga, and it’s damn glorious. Because Carrie Fisher — actress, memoirist, former Jenny Craig spokeswoman, self-described poster child for bipolar disorder — is not having your nonsense. She's a hoot. Her interview on GMA cracked everyone up. She's selling this movie.